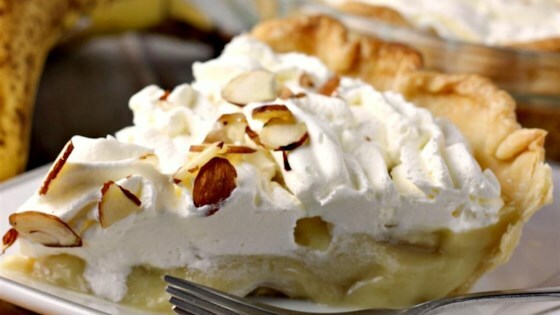 "Banana Cream Pie is one of the yummiest things on earth and this is a great one." Bake at 350 degrees F (175 degrees C) for 12 to 15 minutes. Chill for an hour. See how to make a creamy, 5-star pie. You may use 3 tablespoons of cornstarch in place of 1/3 cup flour (I use cornstarch). The pie crust can be store-bought or homemade. Mine is also so soupy. How can I make it so thicken?? ?